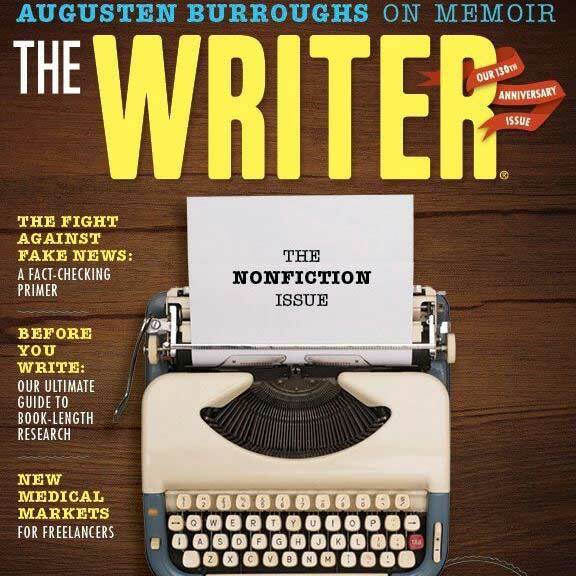 The cover story in the May issue of The Writer, “Going Rogue: Is self-publishing right for you?” offers a good explanation of some of the differences between traditional and self-publishing including the pros and cons of each. It explains some of the costs involved in self-publishing but it doesn’t mention the hybrid options of publishing. In her article, Kerrie Flanagan references the website Author Earnings, which offers statistical information about book sales (“43 percent of all print books sold in the U.S. in 2016 were bought online” and “… 70 percent of adult fiction sold in the U.S. was in digital form (eBooks and audio books).” Author Earnings says its purpose “is to gather and share information so that writers can make informed decisions. Our secondary mission is to call for change within the publishing community for better pay and fairer terms in all contracts. This is a website by authors and for authors.” Check it out.